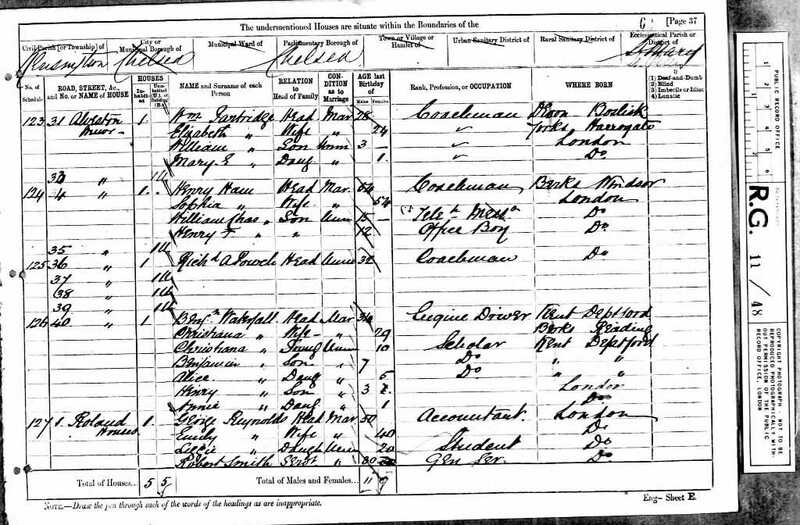 [S2] Birth Indexes, (Ancestry.com), March 1871 Greenwich 1d 815. [S4] 1871 Census, (Ancestry.co.uk), RG10., RG10/745 Folio: 35 Page: 6 (Reliability: 2). 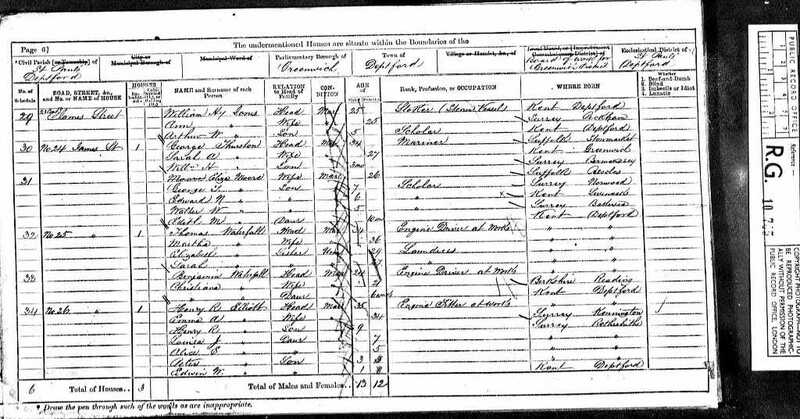 [S38] 1881 Census, (Ancestry.co.uk), RG11., RG11/48 Folio: 62 Page: 37 (Reliability: 2). [S3] Marriage Indexes, (Ancestry.com), December 1870 St Olave 1d 273. [S30] Marriages of Bermondsey St James, (Ancestry.com), P71/JS Item 027. [S3] Marriage Indexes, (Ancestry.com), June 1892 Chelsea 1a 624 (Alexander). [S11] Marriages, St Luke's Church, Chelsea, P74/LUK Item 238.